All 30 NHL teams released their protected lists for the upcoming expansion draft Sunday morning. A lot of deals seem to be in place for some teams, offering picks and other assets in exchange for laying off certain unprotected players. The Philadelphia Flyers are not one of those teams. The prospects are untouchable, their core was easy to protect and their choice of defenseman was rather limited, but the obvious selections were made. Claude Giroux, Jakub Voracek, Wayne Simmonds, Sean Couturier, Brayden Schenn, Valtteri Filppula and Scott Laughton. Obviously, the Flyers were more than comfortable with their position before the expansion draft when they accepted a trade that brought in Filppula and his no-move clause. They managed to protect the essential part of the core and exposed Matt Read, Dale Weise, Michael Raffl and Pierre-Edouard Bellemare to Vegas. 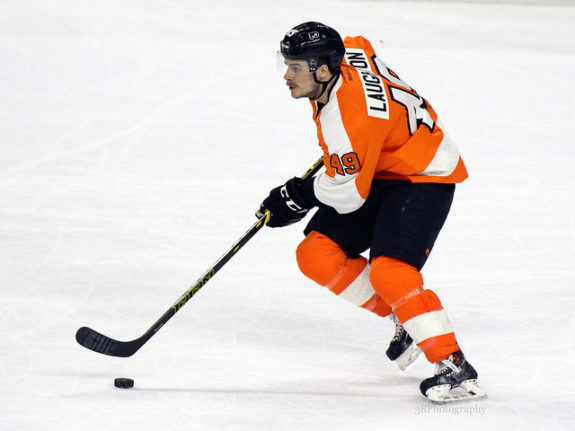 Laughton was a surprise to some, as the former first-round pick in 2012 hasn’t developed the way the Flyers wanted, but still managed to finish his 2016-17 AHL season in fine fashion by playing good two-way hockey, tallying 39 points in 60 games with four shorthanded goals. Even though he hasn’t panned out in the NHL, Laughton is obviously in the teams’ long-term plans, as Hextall chose to protect him. At only 23 years of age, there is still room for Laughton to grow into a third line center/depth role. Shayne Gostisbehere, Radko Gudas and Brandon Manning. The choice here was rather obvious for the Flyers. 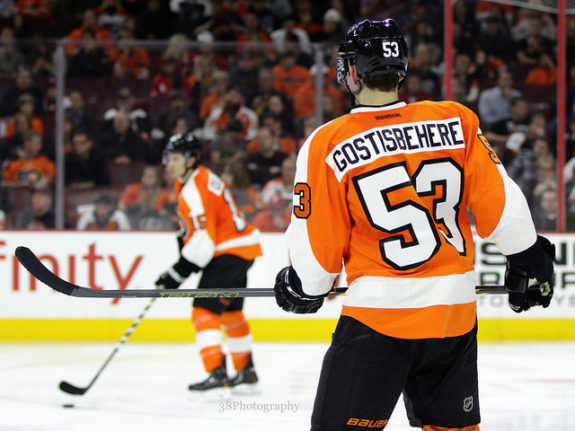 Gostisbehere is arguably their best puck-moving defenseman and is only 24 years old. He will inevitably be a big part of their future after signing a six-year, $27 million deal. Gudas is another obvious candidate, his sneaky good Corsi and Fenwick numbers paired with his ability to play tough, physical hockey makes him a valuable asset and he’s entering his prime. After those two, the names drop off fast. Andrew MacDonald was never a protection option, Michael Del Zotto is going to be an unrestricted free agent, Nick Schultz’ best days as an NHLer are behind him and the other defensemen are full-time AHLers. They simply had to choose the best one who played the most in the NHL, Manning. This was probably the biggest question mark. Do the Flyers protect Michael Neuvirth shortly after re-signing him to a contract, or do they protect their potential future No. 1 goalie, Anthony Stolarz? Rumors are that George McPhee loves Neuvirth, but there are a lot of better options for Vegas between the pipes (see: Marc-Andre Fleury and Petr Mrazek). Stolarz has a ton of upside and has shown glimpses of success during his short NHL stints and his seasons in the AHL. His 6-foot-6 frame gives him a big advantage and the Flyers opted to protect him over Neuvirth. This also leads to confirmation that Steve Mason will not return for the Orange & Black next year. A lot of questions still remain ahead of the expansion draft, but seeing the Flyers have faith in some of their youngsters like Laughton and Stolarz shows that Ron Hextall has patience.